The sole purpose for building a business website is to increase your revenues. Wix offers, not only one of the easiest website creating platform, but also a feature-and-tool-rich environment so that you can grow your business. It provides different types of tools and apps so that you can increase your traffic and leads. 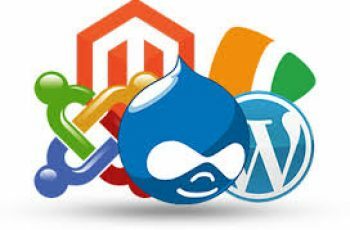 And the best thing is that it allows you to use all these tools with utmost ease even if you are creating your first website. Here are 5 ways that Wix can help you grow your business online. Potential customers will decide whether to visit your site based on a few key factors. An elegant and attention-grabbing design is one of them. Wix provides you hundreds of unique and beautiful templates so that you can create stunning websites that draw attention and keep your visitors on your pages. The templates can be customized to create a more brand-centric while also adhering to the standards of aesthetics. Wix offers hundreds of professionally-designed and unique templates within each one of its categories to make it a breeze how to make a website for free. You can find just the perfect template that matches your specific requirements and customize it to create a beautiful website. Thus, the more elegant your sites are the more potential customers your site can attract, thus helping your business grow. Blogging has always been an effective strategy for promoting a business by drawing massive volume of targeted traffic. Wix allows you to add a free blog to your site and grow your traffic. Every time you create and publish a quality post, it adds to your business’ online presence. Blogging is a kind of long-term campaign that will continue providing valuable information to your target audience in the long run. Wix allows you to create a rich blog where you can add all kinds of content including images, videos, and infographics to inform, educate and do lot more. Site Booster: This app allows your customers to find your business by helping you rank better in search engine results. Your contacts are automatically sent to the top-tier listing websites and directories. GetTraffic: Want to drive targeted traffic to your website? GetTraffic is another powerful app within Wix App Market. It works by creating custom online ads based on your targeted demographics and location. Just few of the so many other traffic-generating and visitor-engaging apps include Wix Forum, Wix Events, Wix Get Subscribers, Lumifish Pop-Up, and much more. When it comes to growing your business, you cannot think of keeping social media integration out of the picture. With Facebook set to touch almost 2 billion active monthly users and Twitter and Instagram offering very high engagement levels, social media marketing is a must-have strategy. Wix provides easy integration with all the leading social media sites. Embed a feed of all your posts directly to your site. Choose from a wide range of apps that allow you to manage your business’ online presence and grow your business using social media sites. And a wide range of other SEO key factors. It will take you on a step-by-step guide, making search engine optimization easy for you even if you are building your first website. In fact, Wix offers many more features and tools to help you grow your business. It gives you the power to create a professional-looking and feature-rich website with utmost ease. Even if you don’t want to use the drag-and-drop editor, you can use the Wix ADI to let the AI-based algorithm create your site based on your answers to a set of questions. Wix is versatile, easy-to-use and innovative.